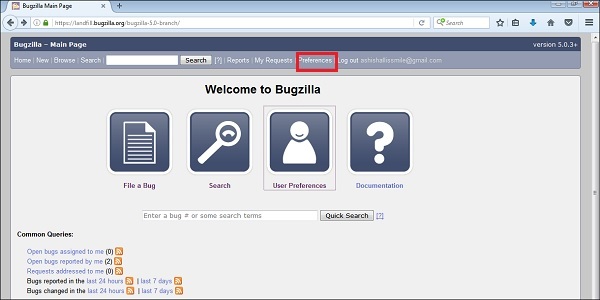 Preferences in Bugzilla are used to customize the default settings of Bugzilla as per requirement and guidelines. It can also be called as User Preferences. The first way is to click on the Preferences hyperlink in the header of the homepage. The second way is to click on the User Preferences button, which is displayed on the Welcome Page Icons. 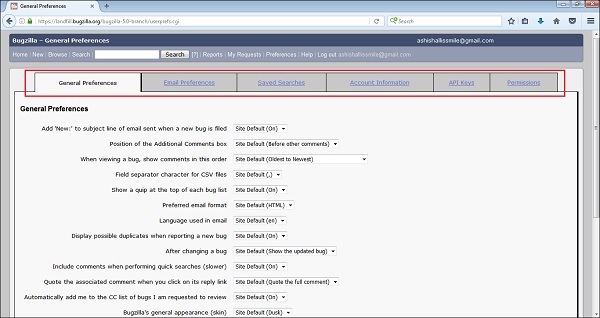 By clicking on one of the links outlined (in red color) in the following screenshot, they will display different types of Preference that can be customized by the users. 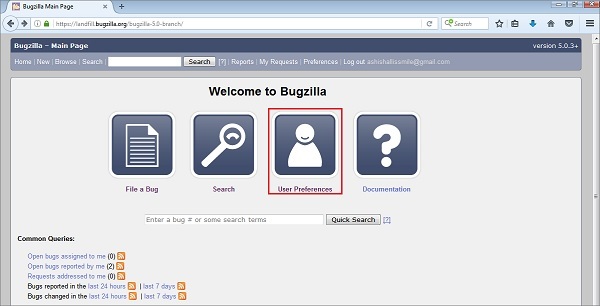 Bugzilla supports the following six types of User Preferences. In the next chapter, we will discuss regarding the General Preferences of Bugzilla.